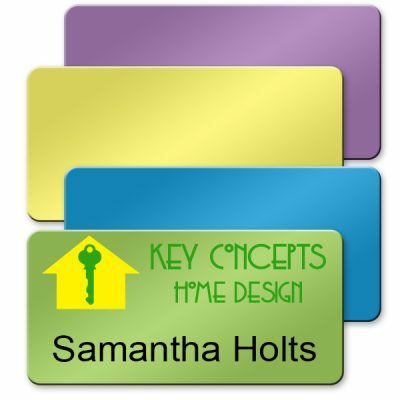 Add logos and more for a brilliant, professional look! 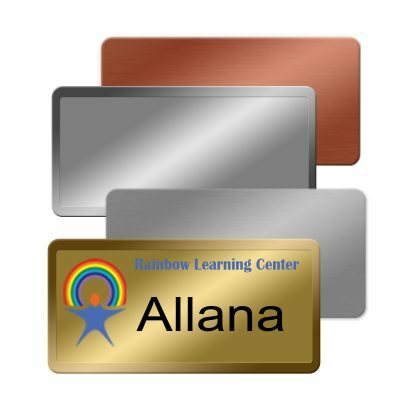 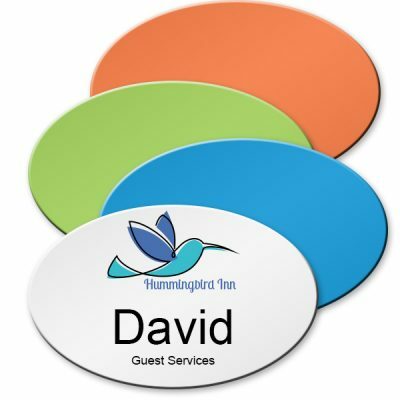 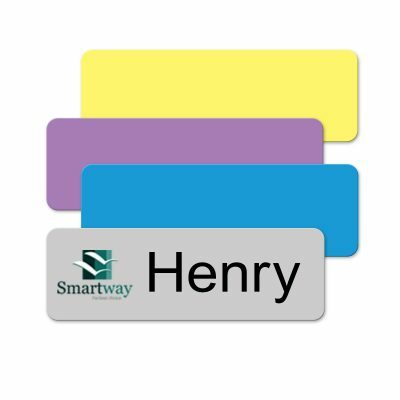 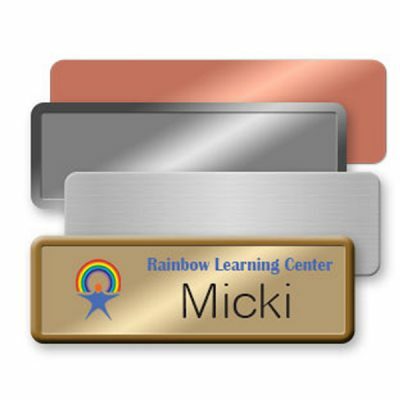 Personalized metal name badges with logos and more. 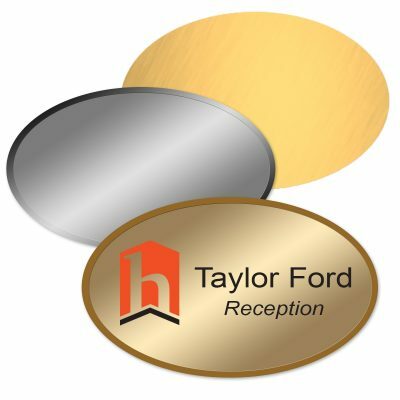 Fasteners, even magnetic, are included in the price!